Get A Free L’Occitane Gift Box! L’Occitane en Provence and commonly known as L’Occitane, is an international retailer of body, face, fragrances and home products based in Manosque, France. 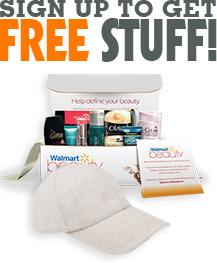 Get a free gift box today ($29 value)! Your gift includes a new Immortelle Overnight Reset Oil-In_Serum, and the perfect moisturizer and cleanser for you. They offer four different boxes to choose from! Our team can give you more amazing freebies, so if you liked today’s offers, please check out the email tomorrow for more. To get this freebie, use the code "KISS"! Claim your free gift at your local L’OCCITANE boutique with no purchase necessary or online with any purchase. Plus, get 20% off any full-price items same day. Get A Free L'Occitane Gift Box!